We travel to a lot of interesting places and compete against the best teams in the world. Here are our stories. In beautiful Marseille, France we put our Long Beach training to the test against some strong teams. We sailed an awesome, honest regatta, and came away feeling proud of our accomplishment. While we technically placed 4th overall, we actually tied for 3rd, but lost the tie-breaker. Frustrating, but at least we know our training is working! Following Hyeres, we took a week off to rest/recuperate before heading to Long Beach, California for some 2 boat training with Bora/Helena under the watchful eye of Mike. We learned a lot, and got lots of great pictures! Click to see some of them! We are chomping at the bit to get those top finishes, and World Cup Hyeres had some shining moments! But it also had some...less shiny moments. We finished up 15th overall, but felt like we are right on the cusp of breaking into that top group! aka The Palma Regatta, as it takes place in Palma de Mallorca, Spain. We started working with a new coach, Mike Ingham, and put together our first event with no letters in the scoreline! We finished 12th overall, feeling good about our racing ability. After the World Cup Regatta in Miami, we headed down to San Isidro, Argentina to train with Santiago Lange/Cecilia Carranza Saroli (the 2016 Gold Medalist team) and Bora Gulari/Helena Scutt for the entire month of February. It was an amazing experience, and we definitely learned a lot! Check out the color of the water! What a busy month January was! 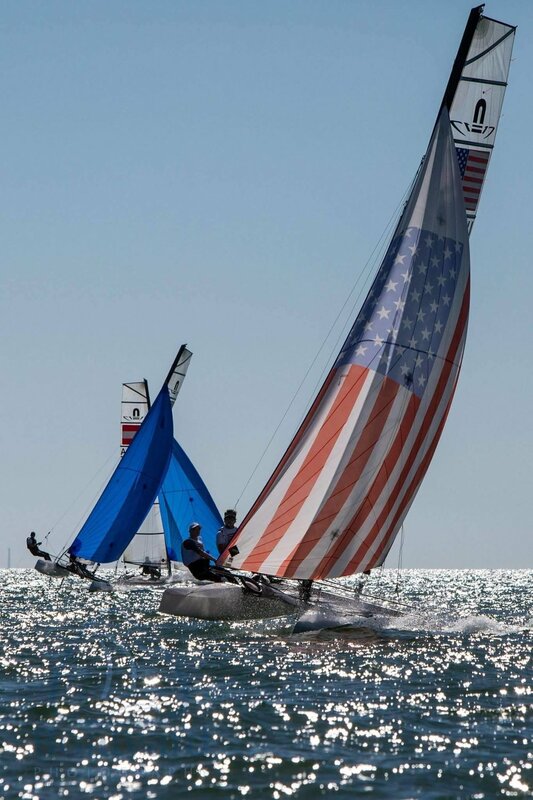 We began the month with a brand new boat, jumped straight into a US Sailing Team Training Camp with 3 other US Nacra teams and coach Randy Smyth, competed in the Martin Luther King, Jr. Regatta, and ended the month with the World Cup Regatta! The 2017 World Championship was held in beautiful La Grande Motte, France in the Mediterranean. 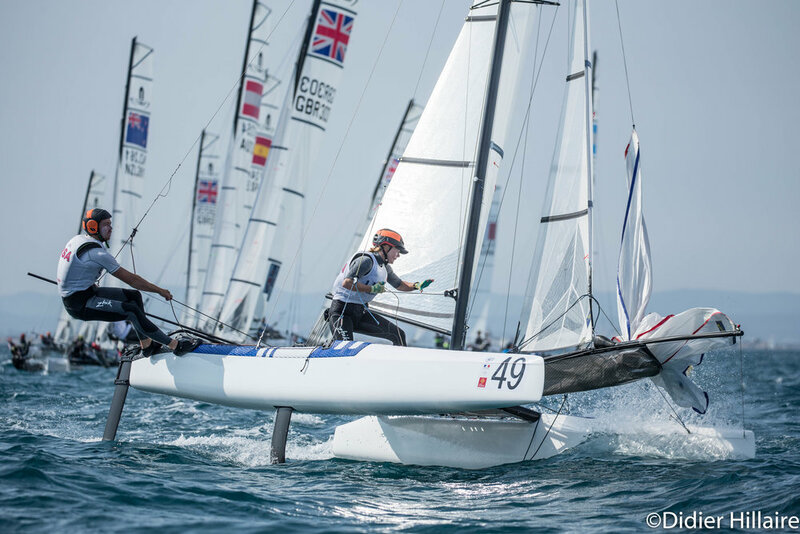 Riley and Louisa finished 20th out of 47 boats, a very solid result for their first World Championship and considering their first 3 races—where they scored a 2,1,1—were given a 50% DPI for a measurement issue. Curious about the circumstances? We had an amazing summer training with our fellow US Team of Bora Gulari and Helena Scutt under the tutelage of the infamous David ‘Sid’ Howlett. Known by some as the ‘Medal Maker’ and an accomplished sailor himself, we were very honored to have Sid as our coach. 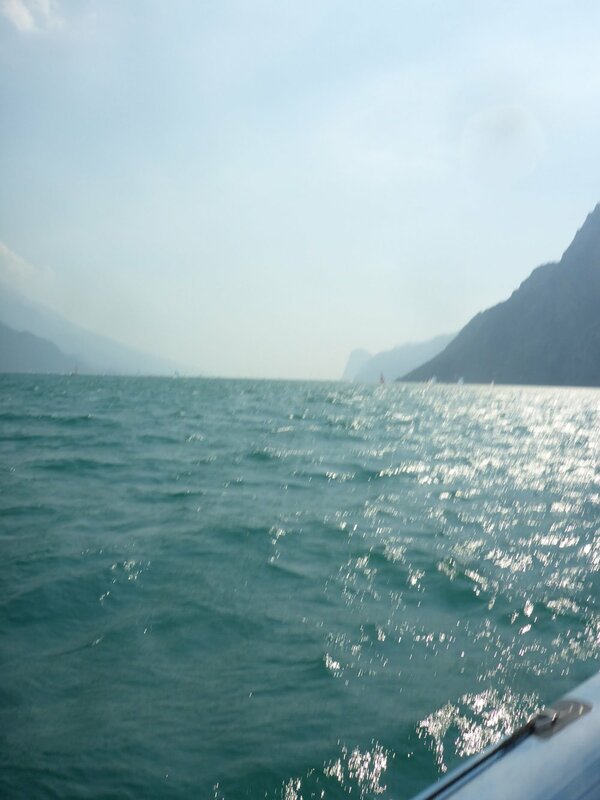 Our training sessions in Lake Garda, Italy and La Grande Motte, France focused on learning the new foiling boat — straight line speed and boat handling— and figuring out the best way to set up the boat. 6 days before the World Cup, Riley sailed the Nacra17 for the first time. After 12 days in the boat we'd qualified for the Medal Race and finished 6th overall.